Meet us in the German pavilion at booth E-M28 and learn about cloud-based ship management. From 14 to 16 March 2018, Asia Pacific Maritime (APM), Asia’s largest Maritime and Offshore exhibition in 2018, will gather key industry players and thought leaders within the global maritime industry for three days of knowledge exchange, networking and business-building. The 15th edition will also welcome 18 official pavilions, including Greece and Spain which will be present for the first time. Throughout the three days, the biennial event expects to host more than 1,500 exhibiting companies, represented at over 630 booths from 60 countries, and over 15,000 trade visitors from around Asia. Taking place every even year, the Maritime and Offshore industry converge at APM, turning every moment into an opportunity, transforming three days of meetings into deals and networking events into ground-breaking partnerships. 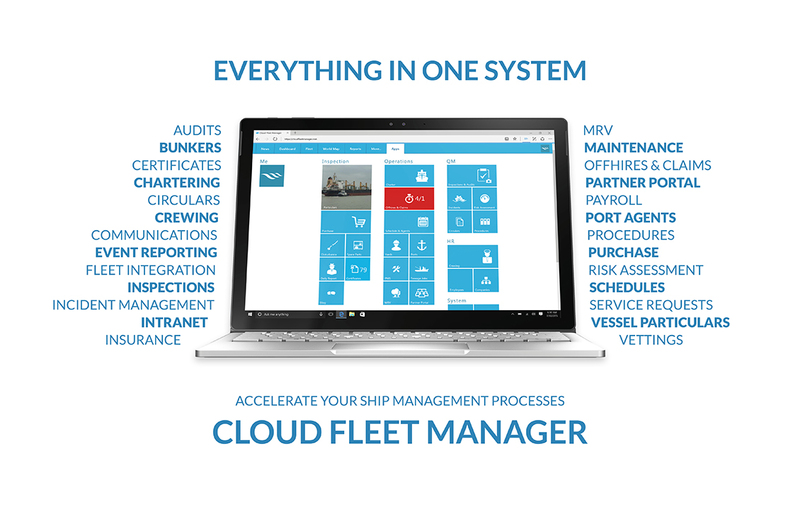 We are going to present our cloud-based all-in-one software solution for shipping companies, the Cloud Fleet Manager. By offering a single, web-based source of information for all employees as well as the crews at sea and external partners, the CFM Portal and the Partner Portal not only ensure that everybody can work on reliable and consistent data but also drastically reduce extra work like the requesting and forwarding of information. The software suite comprises more than 25 applications, among others: Purchase, Inspections & Audits, Schedule & Agents, Crewing, Charter, Risk Assessment, Maintenance and the Cloud Ship Manager. If you would like to learn more about our solutions simply get in touch or visit us in the German pavilion at booth E-M28.